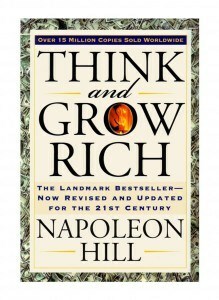 If you’re in any way an avid reader of self-help books, then you must’ve heard of Think and Grow Rich by Napoleon Hill. You can actually get a FREE download of Think and Grow Rich on the net, the reason being that the original 1937 edition is “in the public domain in the United States under the terms of the Digital Millennium Copyright Act because it was published between 1923 and 1964 inclusive, and not renewed at the US Copyright office in a timely fashion”. Below is my review of this classic book. I find it Extremely Difficult to Concentrate on This Book! This is one of the bestselling self-help books of all time, a classic, but I find it very difficult to concentrate while reading it. Maybe it’s because most pages are a “sea” of words, with no spacing in-between paragraphs, which made it difficult for me to process the content in my brain. Or maybe it’s because this book was published more than 70 years ago, and thus made reference to past and historical figures that I could not connect with. But I believe the MOST important factor is that the content just isn’t engaging enough. What are the book contents though? 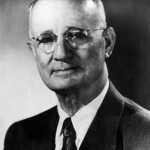 Hill shares the 13 steps to riches, plus “how to outwit the six ghosts of fear”. So altogether there are 15 chapters in this book including the introduction. Hill recounts stories of success of some people, but then the stories felt long and drawn-out, and do not inspire. For me, the author failed to provide enough practical advices and steps on how to Think and Grow Rich. Practicality I believe is something all good self-help books or courses must offer. 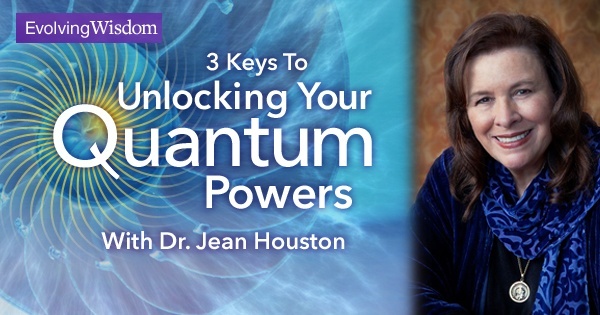 Take the final chapter, for instance, on “how to outwit the six ghosts of fear”. Given the title I was expecting some INSPIRATIONAL and UNEXPECTED insights, or exercises that I can follow to “outwit the six ghosts”. But what I got instead was a paragraph explaining that fears are just states of mind (I mean, I know that already!). The book then went on to explain that thoughts become things. Now I don’t understand how that relates to overcoming fear. I was expecting the book to go on to advise me to think courageous thoughts in order to wipe out the fearful ones, but it never did. So I suggest that you skim through this book. It will give you a different person’s perspective on what it takes to achieve success. But to effect a dramatic and lasting change in your life, I wouldn’t bet on it. P.S. A Secret Is Claimed To Be Hidden in This Book! Let’s find out what the ‘secret’ is. I’ve read a couple of self help books myself, but it’s been years ago. The thing I remembered the most was how convoluted they seemed. I really enjoyed your view on Think and Grow Rich. This is one I haven’t read – may have to give it a try. Sure, read it and share with us what you think about it. Seems like this is one book that gives you more to think rather than providing answers. I would normally prefer books like this but only in the fiction genre. I doubt I will be picking this one up. Thanks for the review though. Hi, I actually read this book some years ago and I really liked it. I agree with your summation that it lacks in practical applications however the stories are intriguing and everything points to a state of mind which is referred to as ‘the secret’. I found this book makes you think but it does not tell you specifically how to grow rich. Yep, the lack of practical applications is my major gripe about this book. As someone who recently read her first self help book a month ago, I appreciate this honesty overview of the book. The book I read was also difficult to concentrate on. I may look through your site to see if I can find one that is more engaging. Your content IS engaging, so no worries there =). Your thoughts flow nicely and you get straight to the point. I also like your organization. The only thing I could say you may want to consider adding is a relevant image or picture of some sort. Thanks, Erin. For a more engaging book, you can read Manifestation Miracle by Heather Mathews. Here’s my review of it. Hi Vic, you’re welcome :). Just let me know if you remember the name of that book you read. If you want we could certainly have a discussion about it. Well from what you have described, it does not seem like a book I would enjoy. I mean I hate books with no spaces! I really do, lol. How hard is it to make it easier to read for your readers. I love to read but if there is no spacing and tiny font,you lose me. As each page feels like 2. And on top, if it is not relevant and interesting, then for sure I would lose interest. It seems like the chapters’ titles are quite misleading..
Not so much misleading as not having enough practical applications. For a more engaging and practical read, try Manifestation Miracle by Heather Mathews. Here’s my review.